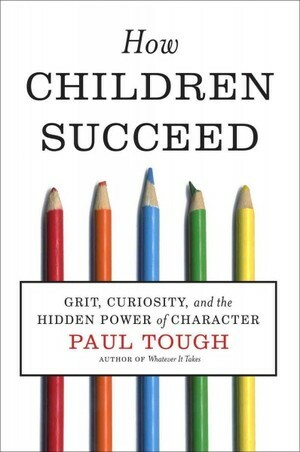 I picked up How Children Succeed: Grit Curiosity and the Hidden Power of Character by Paul Tough because I thought it was a book about parenting. And though it does provide some useful information for parents, it also has a lot to say about formal education in our country. Some of the information in the book applies equally well to parents and teachers – and policy makers, for that matter. The author points out that people tend to associate childhood success with intelligence, as measured on standardized tests, but he argues that what matters more are character traits such as grit, self-control, zest, conscientiousness, gratitude, optimism and curiosity. Current research suggests these character traits are rooted in brain chemistry and are molded by the environment in which a child grows. One segment of the book describes the ways that some parents do (and do not) prepare their children to face the world on their own. The author discusses the challenges for children growing up in poverty but also for those growing up in affluence, with its “potentially detrimental effect on students’ character development.” Parents are cautioned to avoid inadvertently shielding their children from experiences that can lead to character growth. It all sounds so good in theory. But then we get to real life, and my first instinct is to want to protect my boys. Like today when my five-year-old reported that last evening in choir Ben and Paige directed some unkind (and rather adult-sounding) words toward him. This wasn’t a first offense, either. It suddenly took some effort to avoid getting upset, recognize this as a potentially character-building experience and process it with my son with that aim in mind. That love your enemies stuff? It’s hard at any age. Across the country and in our fine state, Science, Technology, Engineering and Mathematics (STEM) have become the focus of education reform initiatives. Solid STEM learning is being promoted as a benefit for our country and our communities as well as a vehicle for achieving one’s career goals. Though our toddler and preschooler are a long way from setting career goals, they still benefit from some foundational numeracy skill building. A worthwhile activity in any home, it’s doubly important in ours since I have no intention of sending my children to preschool. Here are some activities for preschoolers that we have tried as well as some that we have yet to do. Count food items at snack time, for example 15 grapes. Practice simple addition and subtraction with small toys or blocks. Play a memory game. Ask your child to look at a row of 3 numerals. Cover the numbers and ask him repeat the numbers in order. Use songs and rhymes to teach the sequence of numbers. Ask your child to arrange blocks in order to copy patterns or shapes you have created. Cut out craft foam shapes. Use them to teach the names of shapes and to design animals. Fill a bowl with snack crackers of different shapes, such as circles, triangles and squares and ask your child to sort the crackers by shape. When it’s time to put away laundry, ask your child to sort the socks into pairs. Work together to measure and weigh various objects. Practice using comparison words such as bigger/smaller, more/fewer, and similar contrasting words. Do you have any preschool learning games you’d like to share? The U.S. Department of Education publication Helping Your Child Learn Mathematics offers more good ideas for parents and caregivers. Como Zoo has a free preschool program every Thursday through April that introduces basic science concepts. Today we dug for worms, examined plant seeds and parts under a microscope, planted sunflower seeds, made a puppet, and participated in story time, which ended with a visit from a live toad and a rabbit. Since we were at Como, we also strolled through the tropical rainforest room, where we saw a leopard gecko, and through the conservatory to the koi pond. An exciting morning for two boys who are fascinated with animals.